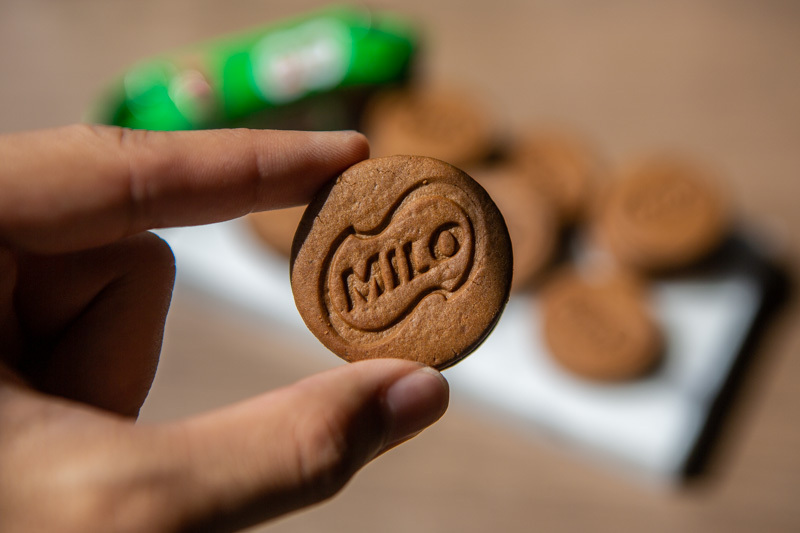 I’m sure we Singaporeans would agree that Milo plays a crucial role in our everyday lives. 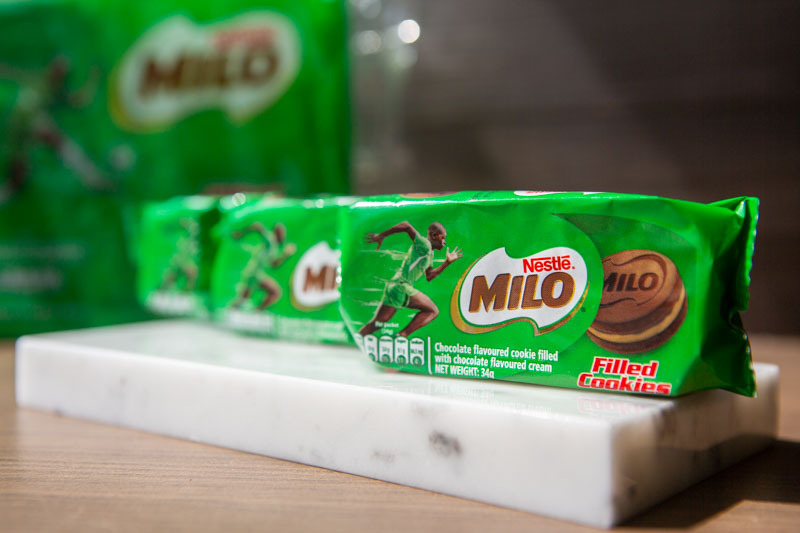 Our obsession with it has seen the creation of countless Milo-infused food items, including Milo chicken pops. 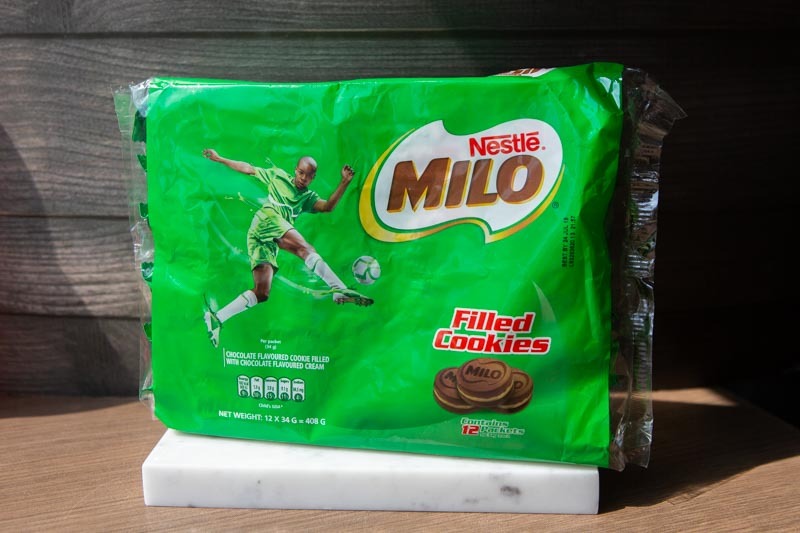 But what if I told you that you can now munch on Milo Cookies? 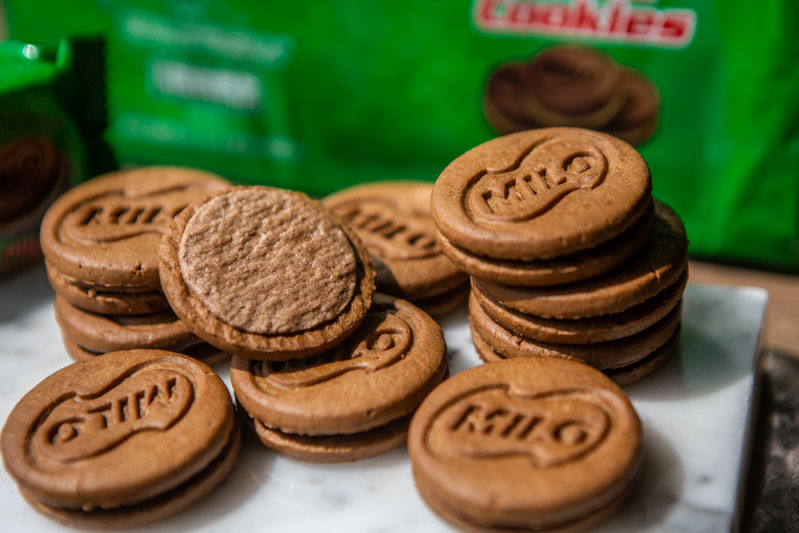 For those of you who’re unaware, Nestle Milo Sandwich Cookie Biscuit (S$5.50 per pack) actually exists! This malty snack comes in a pack of 12 individual packets. With its signature striking green packaging, you’ll definitely be able to spot it along the snacks aisle. Each packet comes with four sandwich cookies inside. The cookies themselves had a very firm crunch. As we munched on them, they melted to a texture that was pleasantly cake-like. 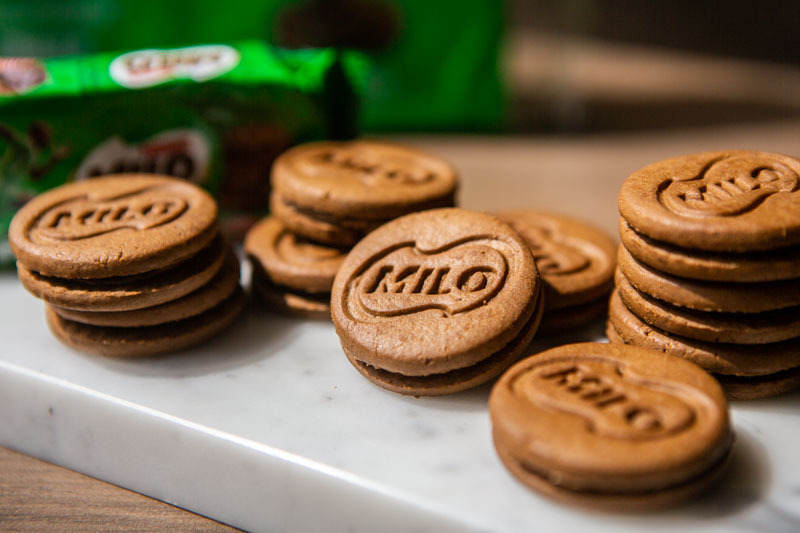 Delightfully, the cookies also possessed a strong Milo flavour. As they broke apart, the powdery cookie crumbles were reminiscent of undissolved Milo powder at the bottom of a Milo drink. Its density and chocolatey flavour reminded us of brownies too. Sadly, however, the cream in between the cookies wasn’t anything to rave about. While it had the grainy texture of Milo powder, we felt it was lacking the quintessential maltiness. If not for this shortfall, I reckon these cookies would actually have been perfect. Nonetheless, I’ve to say that these Milo cookies way surpassed my expectations. In fact, I wouldn’t mind occasionally munching on them instead of my favourite Oreo cookies. 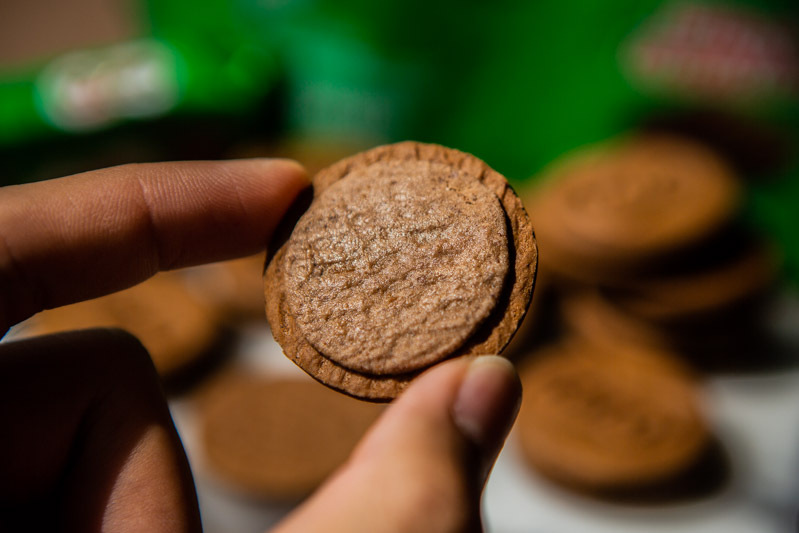 With these new Milo cookies, I guess we now have an alternate way of getting our daily Milo fix!